Yesterday morning it became abundantly clear that consumers had become very confused over the iPad+free data offer on T-Mobile. We attempted to clear it up a little. Essentially, the confusion arose when new customers without pre-existing phone plans on Tmo thought they could walk in to a store, get an iPad on the “zero down” financing offer and get the 200MB free each month without signing up to any other plan. Today, T-Mobile has sought to bring clarity to the matter. Probably a good thing too, I think John Legere had his fair share of debates over Twitter with other tech journalists. In short: Anyone buying a new tablet will get the 200MB. New customers will need to sign up to an additional plan if they want to take advantage of the “zero down” offer. Regardless, they’ll still get the additional 200MB data. Anybody who wants to use a tablet on T-Mobile’s 4G LTE network gets 200MB free data for as long as you own the device, whether you pay for it up front or you choose to finance it. You can buy a tablet from us, or bring your own device. Either way, you will get 200MB free data for the time you own the device and use it on our network. If you want T-Mobile to finance your device, we offer $0 down interest-free financing. As with our smartphones, there are conditions that apply to EIP financing. Well-qualified new customers can finance their tablet if they establish a paying service agreement with us on the tablet, with plans starting at $20 per month. Existing T-Mobile voice customers who are on a postpaid plan can also get $0 down financing for their tablet, even if don’t take a paid plan on the tablet. EIP financing is completely optional. New customers can buy their tablet outright from T-Mobile, the device maker or a third party retailer and automatically get 200MB of free data through T-Mobile. Q. Why do I need to become a paying service customer if I want to finance my tablet and get $0 down? A. Our EIP offer is the same for tablets as it has been for phones. We are happy to extend credit to you for a device with a value of several hundred dollars, but we do require that you establish a paying service relationship with us. You’re not locked in to a long-term service contract. Q. How do I qualify for tablet EIP device financing if I am not already a T-Mobile customer? A. First, you must have approved credit. Second, the purchase of a recurring data plan OR purchase of a postpaid Simple Choice voice line. Q. If I am not a T-Mobile voice customer, how much do I have to pay per month with a monthly service agreement if I opt to finance my tablet with EIP? A. New customers with no T-Mobile relationship will need to activate with a monthly postpaid plan, starting at $20.00 per month for 500MB data, plus 200MB free for 700MB total – in order to receive $0 down interest-free financing with 24 monthly payments on a new tablet. Q. What was the $10.00 per month fee we heard about on launch day? A. We had an executional error in our system at launch that created an erroneous $10.00 charge for network access. We have worked in the days since launch to correct this issue in the system and through employee training. There is no $10.00 per month fee for the 200MB of free data. We are crediting any customer that was erroneously charged this fee. Q. I had to pay $10.00 for a SIM card kit, is that a one-time fee? Or is it recurring. A. It is a one-time purchase of a SIM card kit instead of a much higher activation fee (that our competitors charge) to get your device readied to work on the T-Mobile network. This is not new and not specific to tablets. Q. If I buy a tablet device outright, do I need a service payment relationship with T-Mobile? A. No. Bring it in to us or buy it in full from us and we’ll get you on the network where you’ll get 200MB of free data (plus SIM card purchase), every month, for as long as you own your device. Q. Your website still has some confusing content on it about $10.00 fees and other things. A. We readily admit that we had some executional issues around our tablet launch on Nov. 1. Breaking with the industry norm and giving data away for free is complicated. There were legacy elements in our system and in our training activities that created the confusion. We are actively working to fix and clarify the website while re-educating all of our channel reps.
Q. What if I already have a voice line of service with T-Mobile and want a data plan for my tablet, in addition to 200MB free data? Once the SIM arrives, put it into your tablet, go to mim.t-mobile.com and activate it. Then you get your 200 MB free per month. If you’re already a T-Mobile customer and use EIP to get a tablet, you can get the base data plan of 200MB for free. You can also get a higher data plan for more, starting at $10 a month. If you are a new customer and want to use EIP to get a tablet, you have to get at least the data plan that costs $20 a month. For everyone, if you purchase the tablet in full from T-Mobile or elsewhere, then you can get the base 200MB data plan for free. I think this is very confusing. I called T-Mobile customer service (1-800-866-2453) twice, and was told that you can only do the postpaid plan to get free data, which has a min $10 month/fee. Also confusing, as T-Mobile website says free on prepaid plans. Also very confusing as T-Mobile says free data on most tablets, and yet lists a modified list of just a few “specific” models each brand’s tablets. For example the Galaxy Tab 3 7 inch, is listed as the Galaxy Tab 3 SM-T217A, or the Galaxy Tab 3 SM-T217T but that is not what is sold at most electronic stores. For example fries sells the Galaxy Tab 3 7 inch SM-T211 as their model. I encourage you to phone T-Mobile before you purchase 1-800-T-Mobile and ask about how to get the free 200mb plan. Can you be a prepaid only customer? What other qualifications do you need? How long does the SIM last? What happens if you put the SIM in a different device? Which devices are supported etc. That clears it up. If you own a tablet outright, only want 200MB of data and no more, and don’t want to do any monthly fees or nonsense, just open a prepaid account and get the $10 SIM regardless if you’re a customer or not. I have a need for a backup internet connection that would only get used when Comcrap decides they hate my neighborhood again. 200MB can last a day with my firewall stripping out ads and blocking data heavy content. Plus I can add on if they take longer. They have the prepaid broadband SIMs on the tmobile’s website for 99 cents. Just activate on your tablet and get the 200MB plan. I can’t remember the details on that deal. Was that only for iPads, or was that for any tablet that can connect to the T-mobile network? There’s a list of eligible tablets and any applicable restrictions on T-Mobile’s support forums. Search for the “About Free Data for Life” document. More than iPads are eligible, but not every tablet is eligible. Some are for life and some are for 24 months. Simplified version: Pay fully for the tablet, you get the free data no charges. 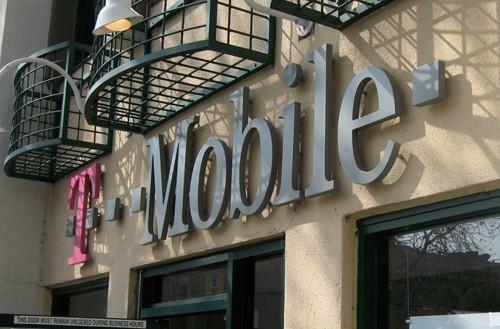 Want t-mobile to finance your tablet? You’ll have to have a monthly plan of some sort. The data is free, the financing is not. Well the financing is free also. If you have a plan. The better way to put it is the data is free, the financing is only available with a plan. Can this be used for the free international data roaming? Unfortunately no, the free international roaming is only attached to the unlimited data plans. I have a family plan with TMO and it was easy to sign up for the free 200mb data for my iPad 3. Just called customer care and they got me hooked up with the plan folks. Just needed to buy a SIM for my iPad (which by the way is on sale for $0.99). Easy Peasy. What if I have a $30 per month pre-paid plan with T-Mobile for my phone? I also have a Nexus 7 LTE tablet. Can I get the free 200 MB of monthly data for it? A rep at the T-Mobile store said I had to upgrade to a plan “linked to my credit”, whatever that means. If I decide to get some more data for a particular month, does that add to the 200 MB? For example, do I get 2.7 GB, 4.7 GB, etc. for that month or do only get 2.5 GB, 4.5 GB, etc.? I’m assuming that’s how it works, if not you get that $10 credit on your bill which I think is better. I’d like a definitive answer to this. The Q&A above seems to be missing this. you do not get 2.7gb. the 200mb is a plan by itself just like the 2.5gb plan and upwards. If you don’t mind the hassle, you could use up the 200 MB then add the 2.5 GB or other prepaid plan. After the month or when you use it up, just remove it if it auto-renews every month. You are incorrect. You get 2.7gb. To further clarify, if you change the device down the road do you lose the free 200mb of data for life? So, if I buy iPad Air now with this offer and 3 years from now buy iPad Air2, the way it is worded seems to indicate you won’t get to keep the present offer…”for the time you own THE DEVICE…”. The cynic in me sees this as a way out for TMO down the road, however, if you can just swap SIMS from Air to Air2 in my example, it shouldn’t be a problem?? Any thoughts on this scenario? I am interested in this as well. Have you found anything? So explain to me if I bring my Nexus 7 or what have you to them and they give me free data… How do they make money? How does this benefit them? Maybe you’ll think TMO is a good carrier and get a larger data plan at some point.. or maybe you’ll buy one of their pre-paid day or week passes to get more data when you’re on a trip. 200mb isn’t much data, they’re probably banking on folks wanting more. I think it is more of a numbers thing. They can say they have 10s of millions on their plans but a few million are just using the free data. So for $20 I get 2.7gb.. When, on my phone I get 2.5gb for $10.. I think I’ll just keep tethering, kthxbye. Apples to Oranges comparison. That $10 charge for 2.5gb is on top of a 50 charge for voice and text. You can’t buy it stand alone. Got a Tmobile Ipad from Apple store, paid full price. Went thru a setup with TM and got 200MB free for life. Sweeeet. T-Mobile told me just yesterday that the iPad Air I ordered from the Apple site is NOT eligible for the free 200MB of data. So either they changed their minds again or they are still experiencing these “executional issues”. I’ve spent hours on the phone and my account is still messed up from these “executional issues.” They are a mess and they need to get their act together. My phone will definitely stay with AT&T. At least they know what the hell they are offering. Someone should tell the T-Mobile reps.
A Chat Specialist will be with you soon. account in general for me to discuss your options with you. You: I have an ipad with tmobile. Lecil A: Okay. I got that. Kindly give me a minute to study your bill here. $20 is prorated data charges when you changed to 2.5GB from the free 200MB. Lecil A: Please let me check further how you can have the 200MB back. Lecil A: I understand. I am also checking here and I don’t see the free data but I am still checking for options. Lecil A: If we can make the change now, would you like this effective immediately? options you can select from. We have a $20 plan and it’s for 500MB only. So far, your plan of $30 per month for 2.5GB is the most affordable one. and check the EXACT model number, not just the type of tablet. For example, if you were to go and purchase a Galaxy Tab 3 7.0 tablet at Fry’s electronics, it would not work, even though the device is listed as eligible, you need to MATCH the EXACT model number. You will notice the majority of unlocked models are NOT ELIGIBLE. The easiest is to make sure you purchase a T-Mobile locked device at a T-Mobile store, and it will work as a FREE 200mb monthly PREPAID data plane. 2. Notice, that the free for life is only for 1 YEAR. If you do not put any money on your plan, it expires after 1 YEAR. You can keep it gong by adding money, but its not really free for life, as after 1 YEAR without adding money, it will expire.